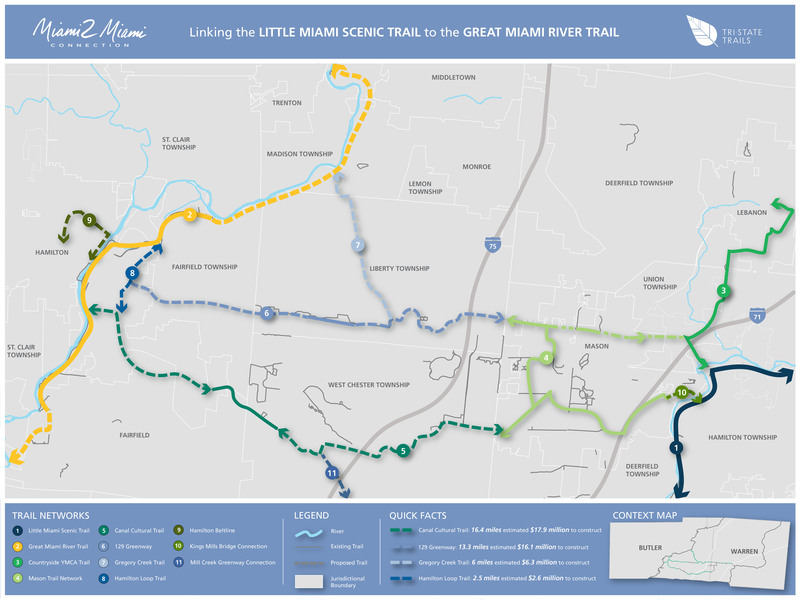 The Miami 2 Miami Connection (M2M) is the vision to connect the tri-state's two longest multi-use trails, the Little Miami Scenic Trail and Great Miami River Trail. M2M plans to traverse through Butler and Warren Counties in Southwest Ohio, from Hamilton to Mason, approximately. 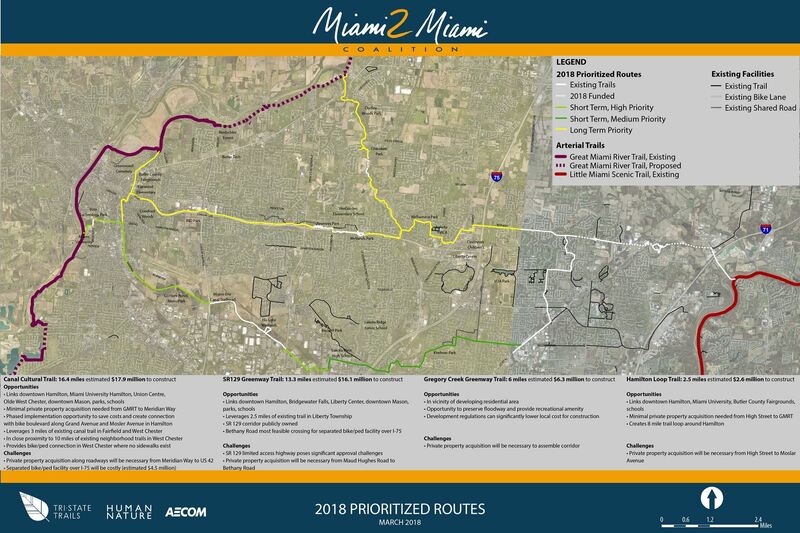 The Miami 2 Miami Action Plan prioritizes the most feasible and cost effective route to complete a cohesive multi-use trail connection between these regional trail corridors. View the final Miami 2 Miami Action Plan here. 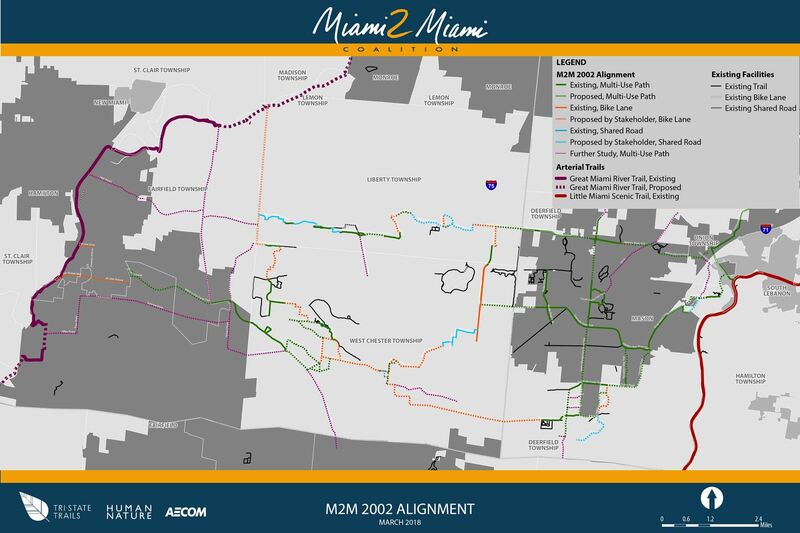 The Miami 2 Miami Connection Feasibility Study was originally conducted fifteen years ago, led by OKI Regional Council of Governments. The map below illustrates the originally recommended 125-mile network of multi-use trails, bike lanes, and shared roads, of which 84 miles were identified as priority corridors. Since 2002, 36 miles of the network have been constructed, and an additional 38 miles of nearby trails outside of the original project scope now exist. 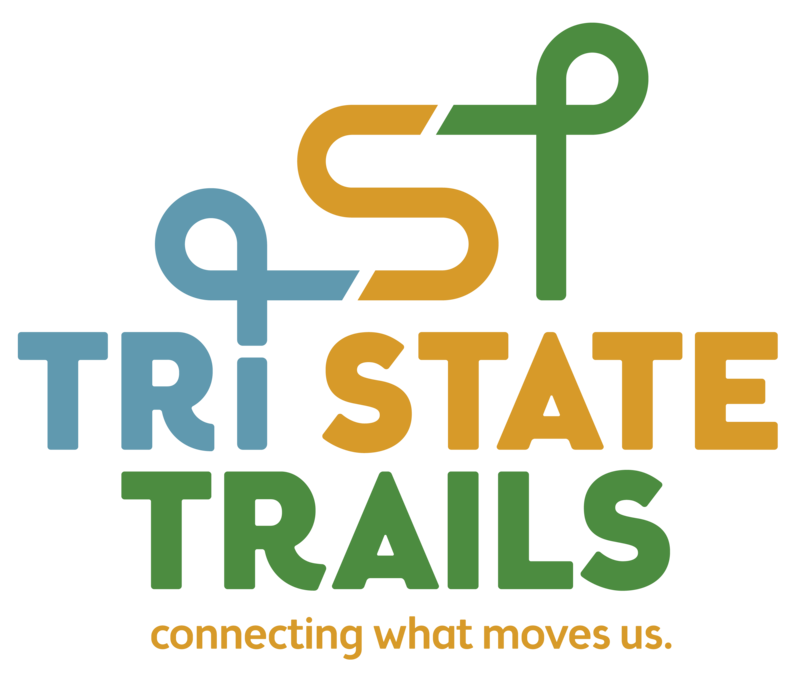 Tri-State Trails has assembled a reenergized coalition of stakeholders to collaborate and revisit the 2002 M2M Feasibilty Study. Seven communities that the network plans to traverse through—Hamilton, Fairfield, Mason, Fairfield Township, West Chester Township, Liberty Township, and Deerfield Township—have passed a memorandum of understanding solidifying their commitment to collaborate to plan, construct, and maintain the trail system. Five additional stakeholders (Monroe, MetroParks of Butler County, Butler County Transportation Improvement District, Butler County Visitors Bureau, and Butler Tech) and three community foundations (Community Foundation of West Chester Liberty, Hamilton Community Foundation, and Fairfield Community Foundation) have also contributed to advance the regional effort. The design team for the M2M Action Plan included Tri-State Trails, Human Nature, and AECOM. Contact wade@greenumbrella.org and sign up for email updates below to support or get involved with the Miami 2 Miami Connection. 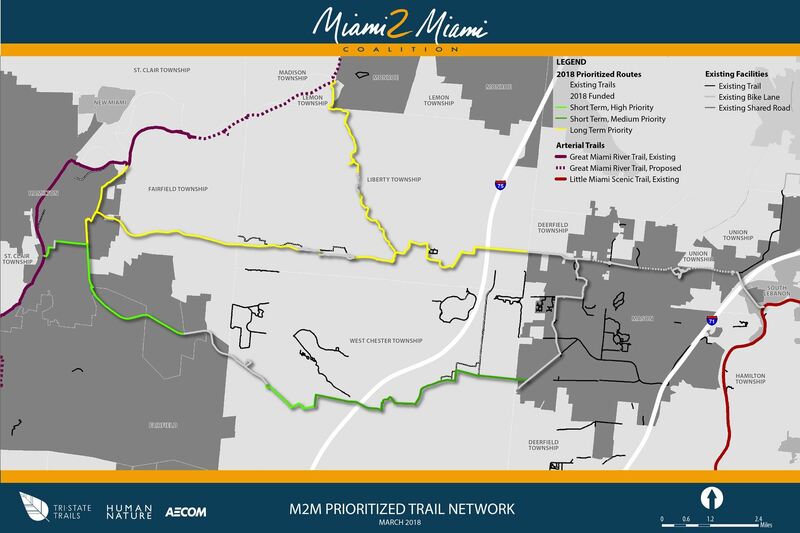 Select "Miami 2 Miami Connection Trail Updates" below.